Today my husband and I celebrate 8 years of marriage. Our anniversary celebration consisted of a melon baller, “no trespassing” sign and a wrong turn that lead to a great evening. Ryan and I are complete opposites which make us a great team. Growth in our marriage has come from our growing family, the books we read and learning about business. We are not perfect, but we spend all our time working together to become a better version of ourselves than yesterday. Our children have just turned 6 and 4 years old. Mia just started Kindergarten and Madelyn is in preschool 2 days a week. Our daughters are our greatest accomplishments and our biggest critics. Having children means your have a tiny version of yourself imitating your every move and reminding you to be intentional with your words. I catch myself threatening my kids with punishment and no intention on follow through. They have caught on to my bluff and use it against me. In business, if you are not consistent and make good on your word, you lose customers fast. Now I am much more intentional with my communication with others, especially my children. If I promise a reward for competing their reading log, I make sure to hold up my end of the bargain. Yesterday as I dropped my kids off at their aunt and uncle’s house, Mia asked why my face was so mad. I didn’t realize that I was still thinking about an incident that happened before we left the house (Maddy peed in the floor) and I was also thinking about Ryan’s impromptu meeting for work on a Sunday. Our anniversary falls on Monday so we planned on celebrating the day before. As I drove the kids to spend the night at my sister’s so that we would be kid-free for my husband’s surprise plans. I told her that I was just thinking about earlier and I was sorry. “I am going to miss y’all tonight,” I said. “Why would you miss us?” Asked Mia, “you have been mad us most of the time.” I swallowed hard when I realized the truth behind her last statement. Perception is reality and her perception was that her mother was upset at her. In reality I was just tired and thinking about other things. I took a breath and apologized for being so grumpy. I reminded myself that it was ok to fail as long as I learned from it and moved on. That’s the hardest part isn’t it? Trying to move on and learning from previous mistakes, breaking old habits and being aware of how you appear to others. We all should be more aware of how our actions and our faces are being translated by others. Ryan and I discovered that we loved learning as long it was something we cared about. I have not always been the best at reading. I usually read a paragraph three times before I get the meaning. Since we discovered Audio books, our lives have changed. We have read/listened to so many books this past year. We even have some on repeat. Our favorite category is non-fiction books. We enjoy books on business, marriage and life. Here are a few of our favorites as well as some of our favorite quotes. Think and Grow Rich by Napoleon Hill written in 1937, it teaches a philosophy that can help anyone succeed in any line of work, to do and be anything they can imagine. Courtship after Marriage by Zig Ziglar weather you have been married for 5 months or 50 years, Zig has a no nonsense approach to improving your marriage. He is very entertaining to listen to offers his experiences in his own marriage as advice for others. Four Hour Work Week by Tim Ferriss the book that changed our way of thinking and posed the question, what am I working for and why? This book showed us how to live the life we want while working in the business we want. He also has amazing podcasts where he interviews top performers in business, government, fitness and Hollywood. The Power of Ambition by Jim Rohn With The Power of Ambition you can take charge of your own personal happiness, chart your own course through life and let your legitimate ambition create whatever you desire, take you wherever you want to go. Don’t take things personal- this is difficult since relationships are about feelings, but too often the other person’s view of you has more to do with their own experiences and less to do with your words. Be intentional with your words- when you say things like “I will never forgive you” or “ruined my life” those words have weight that can be carried through a person’s lifetime. In business if you promise quality and timely service, and you do not hold up to your end of the bargain, it is hard to gain trust and keep customers. 3. Get use to the word ‘No’ -money is the number one cause of divorce. I will not always get to buy the shoes that I want or take that vacation I have dreamed about, that is life and being upset over it does not help you get those things. In business, I hear the word NO a lot and it can make a person want to give up and stop pursuing their dreams. That is the secret, get use to hearing the word NO. Right before you hear the word YES, you will want to give up and throw in the towel. That is God and the Universe testing the strength of your passion. Ryan and I have been working closely together to grow our family business. He is the smartest person I know and I have had to learn not to take things personal when it comes to discussing finances. I also have the entrepreneurial mind, while he is the manager who things about things analytically and not emotionally. I run on emotion that helps spur new ideas. 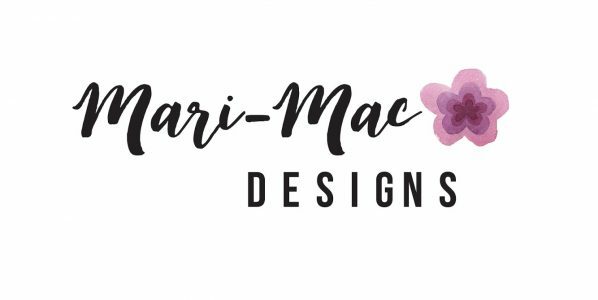 Together we have grown Mari-Mac Designs. Click on the link to learn more about us and why we got started. Thanks for reading and I’ll leave you with a few pictures from Ryan’s Anniversary surprise. For breakfast I received pancakes, eggs, coffee and sausage in bed! We took a walk with the family before church. My sister and brother in law watched the kids that night. Ryan asked if we had a melon-baller, it was my only clue as to what he had planned for the evening. After our off the grid picnic we took a wrong turn and ended up at a bar where we played pool and watched the Texans. This bar also had sand volleyball, horseshoe pits and karaoke! Score!! I had the best night ever. Happy Anniversary baby!